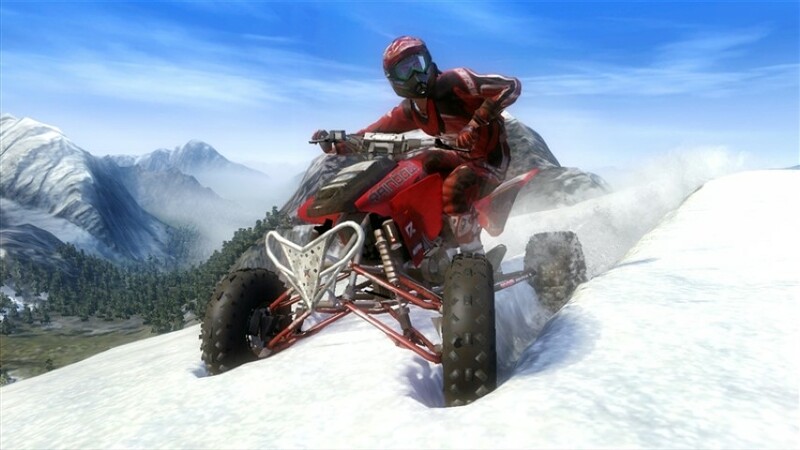 The latest off-road game arrives on the 360, MX vs ATV Reflex by Rainbow Studios which gives fans of this genre another option for their off-road fix. With new vehicles, tracks and gameplay modes, MX vs ATV Reflex also features some lush graphics that will definitely get your motor running and compared to the previous instalments of this series, the latest game is definitely leaps and bounds ahead of its predecessor. Apart from the impressive terrain deformation technology that is employed by this title, the first thing that we noticed about the game was the control system that is easily one of the most sturdy that we have seen on the 360. Although the learning curve of the new controls is a little high with the inclusion of dual stick driving, this allows you to control the vehicle with one stick and the rider with another which is great for maximising jumps and turns. This is also works wonders when you're trying to pull off some tricks, although the first few times, you'll be landing in the dirt... depending on your gaming prowess. It does help that the game will prompt you on how you will land, so do you have a chance of rectifying the problem. Of course, the variety of vehicles that you control range from bikes to buggies and just about anything related to off road and once again, each handles differently which mimics the controls well. In relation to terrain deformation, your tyres and the muck that your bikes or buggies or the like kick up, will slightly change the terrain that you race on and when you come through a second time, these disturbances can sometimes cause not only you if your not vigilant but your competitors to fail. The only issue that we found during our testing was the AI who seem be fairly indestructible in messing up which is a shame, especially if you have a crash and you see all your competitors race by. Bummer! 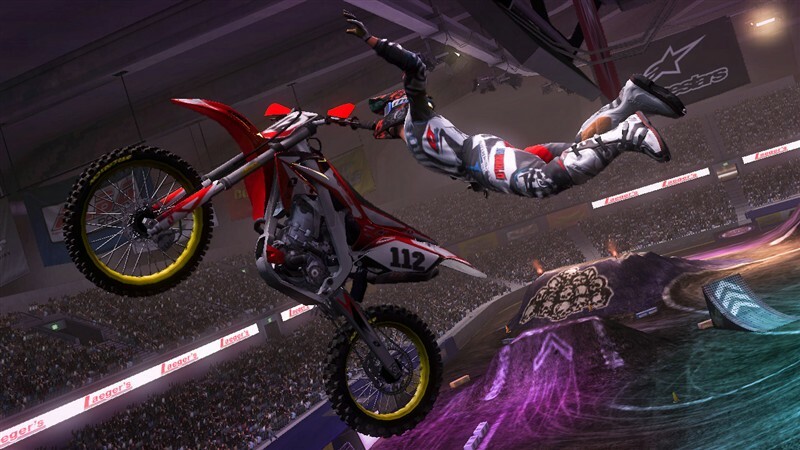 The game offers a variety of game modes from single player to multiplayer (12 online) which allows you to race through Champion Sport Track, Free Ride, Freestyle, Nationals, Omnicross, Waypoint and Supercross. Of course, the edition of a career mode is definitely a great way to learn the ropes of this title. Lastly, add in some other modes such as elimination and faceoff for example and this game definitely delivers in this department. Multiplayer was also quite fun and definitely adds to the longevity of this title, especially with the mini-games, snake and tag. Tag is like the traditional game of "chasey", whereas snake is like the original game of snake or more specifically, like Tron for those older geeks. Graphically, this game is pure eye candy that contains impressive backgrounds, realistic vehicles and driving physics plus terrain deformation which changes, sometimes considerably as you race. Needless to say, the terrain deformation looks spectacular. Of course, add in an almost flawless frame rate and this game definitely gives the illusion of speed. It should be noted that the various terrains in the game are great from forests to deserts and even snow. In terms of sound, any game of this style would need the appropriate soundtrack and the score for this game is quite heavy that sometimes drains out the roars of the engines. Our only issue with the game is the who definitely sounds forced and at times quite annoying. Double Bummer! 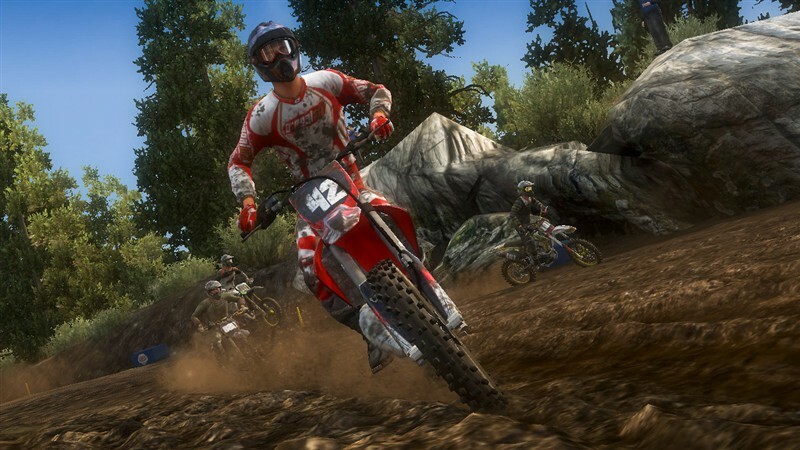 In conclusion, MX vs ATV Reflex is a fun game that adds a few new twists and turns to the off road racing genre. The new control system of the game is quite good and although it may take a little getting use to, once you have mastered the controls, you'll definitely be in a better place when you started. Good graphics, realistic game physics, there's little if any to complain about MX vs ATV Reflex.